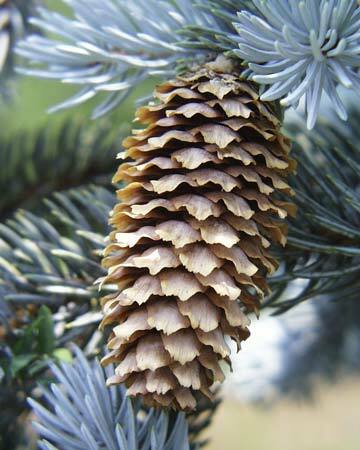 Colorado Blue Spruce (Picea pungens) needles and cone (public domain photo on wikipedia). Known for its stately, majestic, symmetrical form and its beautiful silver-blue color, the Colorado blue spruce was first discovered on Pikes Peak in 1862 by botanist C.C. Parry, and named by George Engelmann in 1879. Blue spruce (Picea pungens Engelm) is also the state tree of Utah. 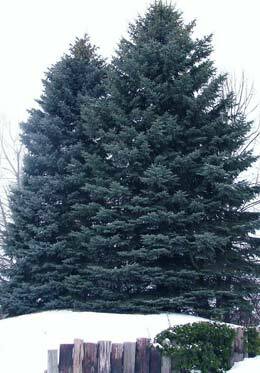 Sometimes called the silver spruce, the Colorado blue spruce ranges in color from green to blue to silver. In Colorado, it grows in small, scattered groves or singly among ponderosa pine, Douglas fir, alpine fir and Englemann spruce. 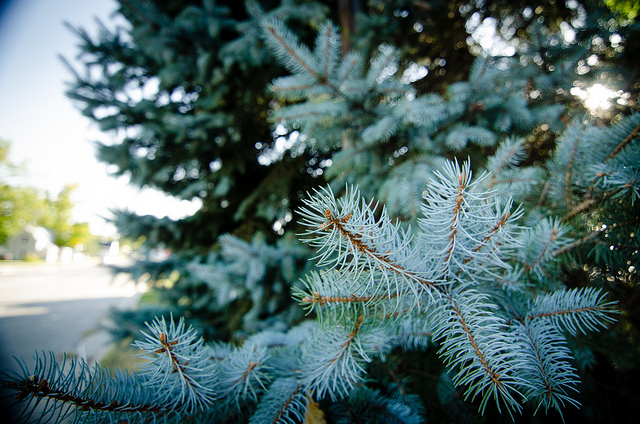 Blue spruce tree; photo by Michael May on Flickr (noncommercial use permitted with attribution / no derivative works). Blue spruce trees; photo by mdprovost on Flickr (noncommercial use permitted with attribution / no derivative works).